Disclosure: I was provided B. Squirts for review purposes. All opinions expressed are my own. My Lil Lovebird is obsessed with her B. Toys Wee MD doctor kit she received for her 2nd birthday and nearly 2 years later it's one of a handful of her toys that has such longevity (and the batteries are still going strong too!). When I met them at Toy Fair 2014 I was captivated by their fun, colorful toys that promote creativity and exploration. 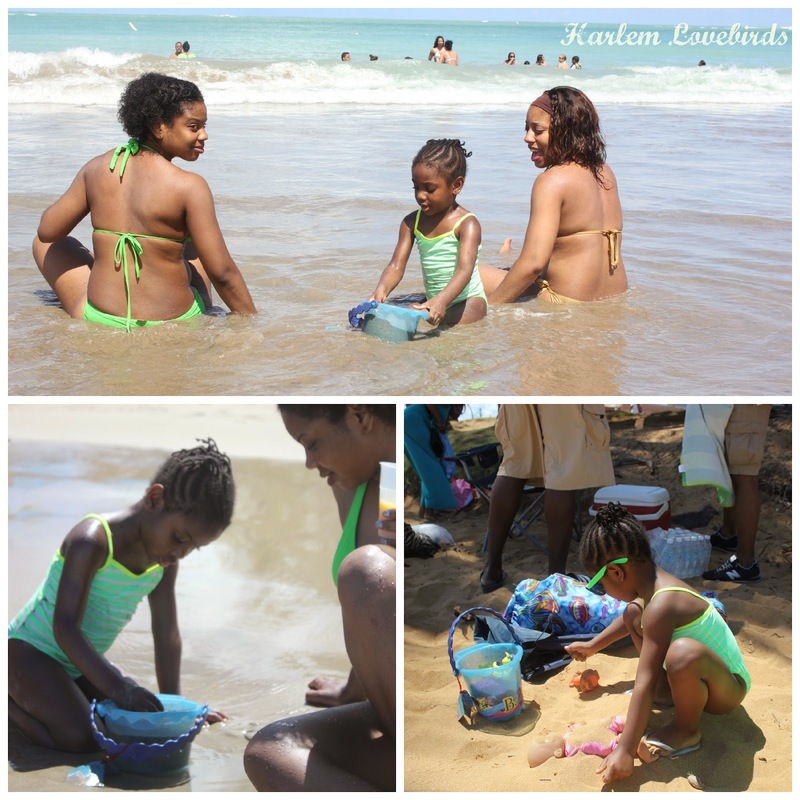 They have quite a few fun water play toys coming out later this year, and during our trip to Puerto Rico I took along the B. Squirts for Nia. 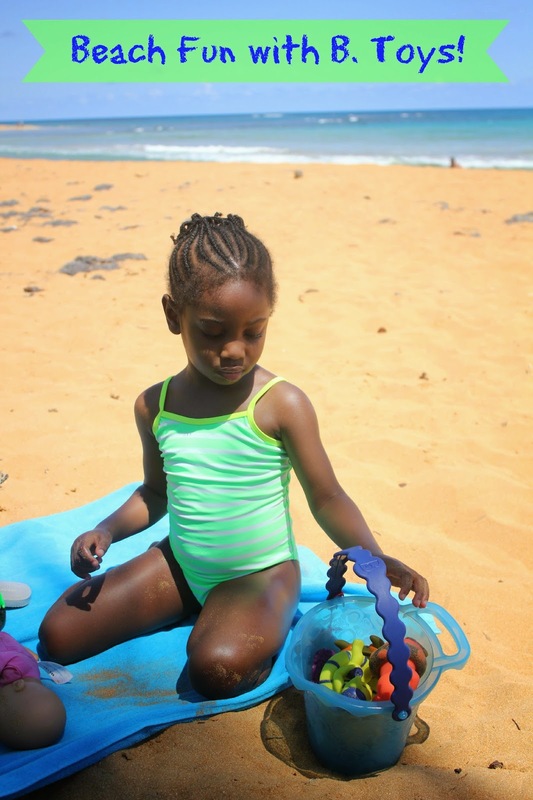 She was so excited when I surprised her with them and happily carried them to the pool and beach each day. 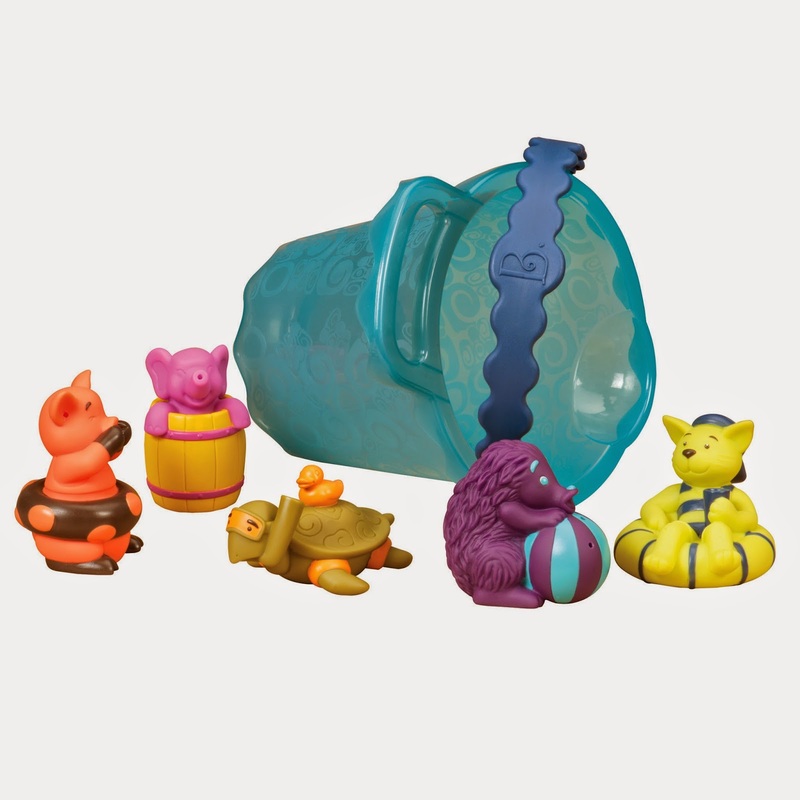 Appropriate for ages 1-5 years, the B. Squirts set comes with 5 whimsical animals as well as a bucket to carry them in. We've had buckets break on us after a few uses, but the B. Squirts' bucket is very sturdy and has drainage holes which helped it dry out. Even my sisters had fun playing with Nia's B. Squirts! My sister Ariane and I agreed that the hedgehog (or is it a porcupine?!) B. Squirt was our favorite - it has multiple holes to squirt from! Back at home, we've enjoyed using the B. Squirts during bath time and look forward to bringing them to our local pool this summer. I know they'll be a hit with Nia's playmates too! You can purchase B. Squirts here on Amazon (priced at $17.99+shipping as of this post). Also be sure to check out B. Toys' website to see their full line of toys!